Leading mobile network operator, Econet Wireless has widened its broadband coverage deep into the country’s remote areas with Mhondoro becoming the latest beneficiary of a Third Generation base station erected at St. Michael’s Mission. 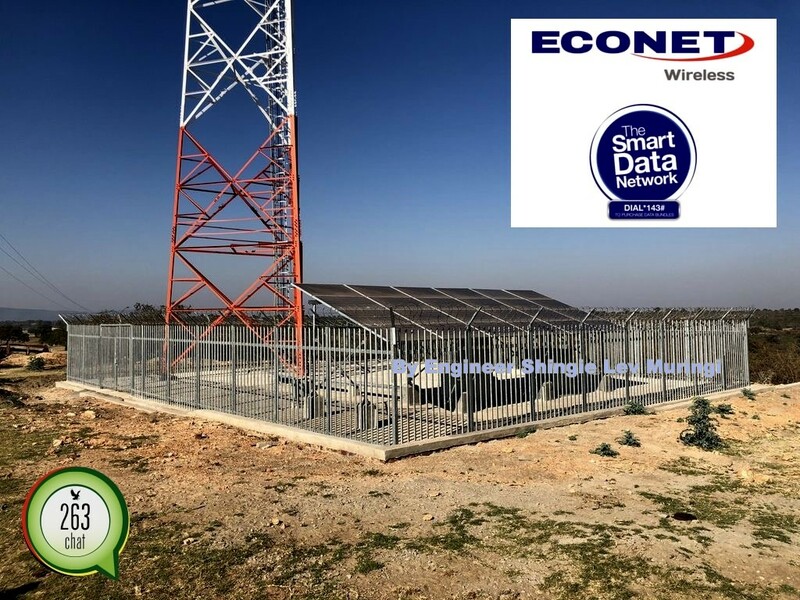 Econet’s St. Michael’s base station is powered by a high tech solar system to make the infrastructure very reliable and environmentally friendly as part of the operator pursuit of green energy solutions. Improving network access in the area is a welcome development for a community which has a vibrant agricultural status such as the Mhondoro – Ngezi district. Also, the district boasts of a stable mining industry inclusive of global platinum giants, Zimplats who employ thousands of both casual and permanent workers. However due, to low average revenue per user in Zimbabwe’s rural districts, Mhondoro has also seen little investment in terms of telecommunication infrastructure resulting in poor network access in some of the areas far from Chegutu and Mubaira Growth Point. Thanks to Econet Wireless, Mhondoro now enjoys fast 3G broadband connectivity, giving the local residents full access to the Internet and social media platforms like Whatsapp and Facebook. According to the Postal and Telecommunications Regulatory Authority of Zimbabwe – Potraz’s 1st quarter sector performance report for 2018, Econet has the highest number of base stations installed across the country. Econet is Zimbabwe’s leading investor telecommunication infrastructure with 647 LTE base stations, 1,539 3G base stations and 2,493 2G base stations erected across the country. The Table shows Base Station Distribution among Zimbabwe’s three mobile network operators: Extract from the Potraz 1st Quarter Sector Performance for 2018. As shown in the above table, Econet had the highest market share of 2G base stations, 3G base stations as well as LTE eNode Bs. Econet maintained 68% market share of LTE eNode Bs in the first quarter of 2018, Telecel increased its market share by 1% while NetOne lost 1% of the LTE eNode Bs market share. The continuous investment in Zimbabwe’s telecommunications infrastructure has seen a reverse reflection in the mobile penetration rate which decreased by 18.1% to reach 84.6% in the first quarter of 2018 from 102.7% recorded in the last quarter of 2017 following a 16.8% decrease in active mobile subscriptions.